California water experts have long known the amount of surface water granted by water rights far exceeds the state’s average supplies. Historically, the over-allocation has not raised much concern; in most years, there has been enough runoff of rain and snowmelt to go around. But circumstances are changing. California is suffering the third driest year in a century and demands for water are at an all-time high. The huge gap between allocations and natural flows — coupled with great uncertainty over water-rights holders’ actual usage — is increasingly creating conflicts between water users and confusion for water managers trying to figure out whose supplies should be curtailed during a drought. To understand where and to what degree California rivers have been claimed, we mapped all appropriative water rights recorded by the State Water Resources Control Board. We quantified the total “face value”, or maximum annual diversion volume, of water rights for all rivers and streams and compared this data with estimates of water supply. Not only are many rivers over-allocated but the amount of water actually used by water-rights holders is poorly understood. Comparisons of allocations with water use suggest that in most of California, only a fraction of claimed water is being used. Statewide, appropriative water-rights claims for consumptive uses are about five times greater than average surface-water withdrawals. The Associated Press recently reported that the state water board is unable to track the water usage tied to many of California’s oldest and largest water rights (Dearen & Burke 2014). The state system primarily relies on self-reported water use records, which are riddled with errors, even for the some of the state’s largest water users. In a well-functioning water-rights system where allocations are closely tracked and verified, over-allocation is not necessarily a problem. During water shortages, the state would order holders of junior appropriation rights to curtail use. When water is abundant, most water-rights holders should be able to fully exercise their claims. Inaccurate accounting, however, threatens the security of water rights — particularly when water is scarce. Earlier in this drought year, for example, the water board sought to protect fish in some watersheds by threatening curtailments of water rights held by all users within those drainages. More targeted cutbacks might have been sufficient if the agency had accurate water-use information. The lax water accounting has intensified conflicts between users during the drought. 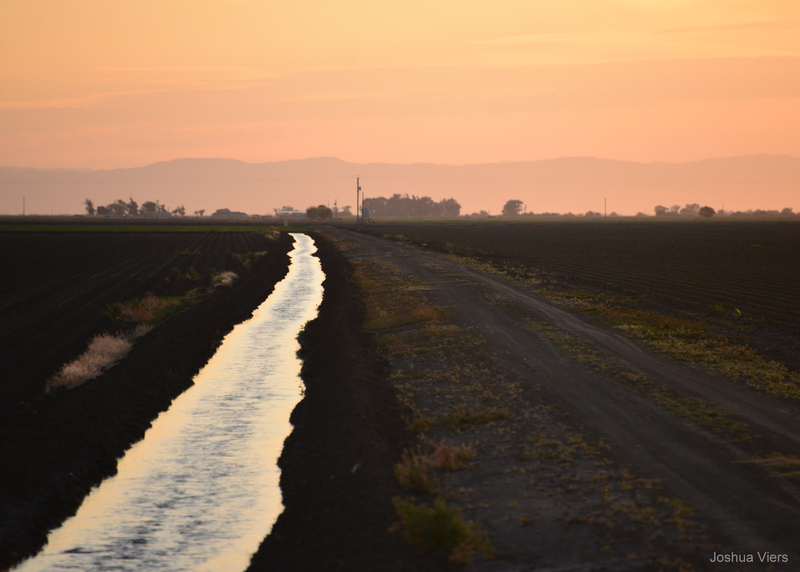 Operators of the state and federal water projects recently asked the water board to investigate diversion practices by farmers in the Sacramento-San Joaquin Delta. As the Sacramento Bee recently reported, the water agencies suspect farmers are taking water released from upstream dams that is intended for consumers elsewhere. The California Sportfishing Protection Alliance, a group often allied with Delta landowners, has countered with a formal complaint to the board alleging that the agencies are illegally diverting water from rivers that flow into the Delta. (Weiser 2014). 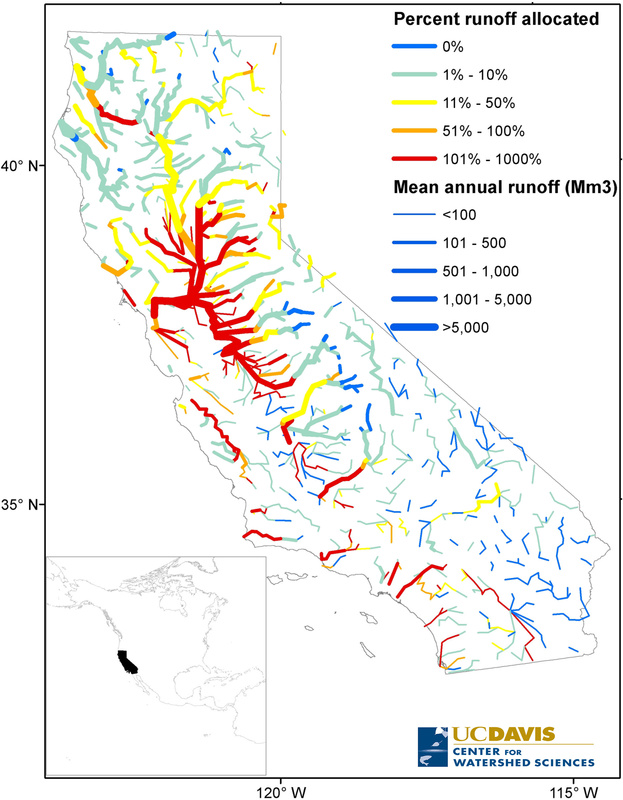 Innovative approaches to California’s water management challenges also are dependent on accurate water-rights accounting (Hanak et al. 2011). For example, water markets rely on transparent and accurate quantification of water transfers. Uncertainty in water rights may also discourage conjunctive management of surface and groundwater to improve water supply reliability (Draper et al. 2003). In over-prescribed systems, water needed to meet new and evolving demands will likely require curtailment of water rights. This is not as daunting or threatening as it may seem. Impacts to private water rights will likely be minimal because public agencies control the bulk of the state’s water supply. Tightening the water accounting would have a much greater effect on state and federal water project operators, water utilities and irrigation districts that collectively hold rights to 80 percent of the allotted water — compared with less than 1 percent held by individuals. 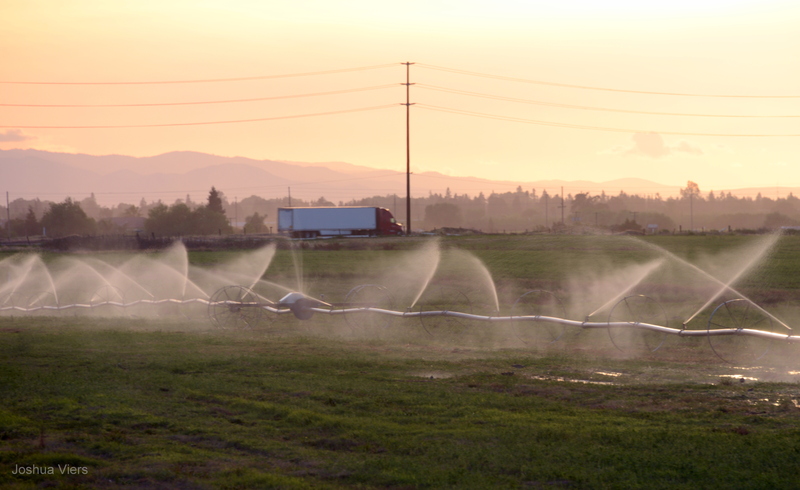 Major policy changes may not be necessary to improve California’s water rights system. California law already allows re-allocation of water rights to address evolving societal needs and changing environmental conditions (Littleworth and Garner 2007). For example, the public trust doctrine establishes that the government has an ongoing duty to safeguard natural resources (Frank 2012). California’s Fish and Game Code 5937 is an expression of that doctrine, requiring dam owners to provide enough flows below impoundments to maintain fish in good condition. The state water board, however, will need legislative authority and funding to improve the recordkeeping and effectively enforce water rights. According to board staff, the agency does not have the resources to systematically verify water usage or check even the most obvious mistakes in the records. Yet the board still relies on these inaccurate data in deciding how and where to grant water-rights permits (Dearan and Burke 2014). Improving the water-rights system, of course, will not alone solve California’s myriad water management challenges (Hanak et al. 2011). But without better quantification and regulation of water rights, prospects of reconciling competing water demands in a drought-stricken state will remain bleak. The tools and technology to quantify water supplies and accurately track usage are at our disposal. All that is lacking is political will. Dearen J and Burke G. 2014. California’s flawed water system can’t track usage. Associated Press, May 27, 2014. Hanak E, Lund J, Dinar A, Gray B, Howitt R, Mount J, Moyle P and Thompson B B. 2011. Managing California’s Water: From Conflict to Reconciliation. Public Policy Institute of California, San Francisco, Calif.
Little Hoover Commission. 2010. Managing for Change: Modernizing California’s Water Governance. Sacramento, Calif.
Littleworth A L and Garner E L. 2007. California Water II. Solano Press Books, Point Arena, Calif. This entry was posted in Uncategorized and tagged California Fish and Game Code § 5937, Joshua Viers, Ted Grantham, water rights. Bookmark the permalink. You have made an outrageous suggestion that we actually require the users of water to report how much they use. What comes next, a demand that public agencies only promise to deliver the amount of water nature provdies? Or perhaps a suggestion that we spend money that we have, rather than what we would prefer to have? Your recommendations will probably cause California to collapse into the ocean. Oh, I forgot. A first-rate piece of work and very timely. Keep it up! Yes, I should spell check my email: “provides”…….. There is not enough water even in wet years during summer, nor enough in reservoirs to meet wet year demands with adequate carryover. Nor is the amount flowing to the Bay adequate in any year. Who is measuring water that should go to Bay – USGS is and they say it does not meet requirements. At least they measure that use. Increased water demand is primarily due to expansion and changes in CA agriculture. The allure of high profit crops that require excessive amounts of water, especially those grown in desert conditions seems to great for the growers to act responsibly. Unfortunately political appointments to the State agencies responsible for non-degradation and water rights have stymied reasonable attempts at regulation of the agriculturally caused degradation of California’s water. California does not have adequate water to support the expanded levels of agriculture. Possible storage solutions can address only a minor portion of the excessive demand and prudent management demands some sort of carryover from year to year. The deficit spending of water must be stopped in order for California to move forward. I’m seeing resource management policy as separate from the human right to have water. We _should_ all have the water that we _need_* (clearly a tough term to legally define let alone regulate), but simply measuring water use is so critical to the survival of the state, as it alerts citizens to the implementation reality and consequences of this right. It’s hard to say what the best course of action is currently, but the important thing is that you’re starting at the beginning; data acquisition. The best decision making can only occur after we’ve looked at the data. This post is totally apropos to work we are currently planning in the Okanagan Basin, B.C. Like California, we are trying to sort out water license allocations (historical and current), integrating groundwater and surface water supply and demand, environmental flow needs, and how to compensate for lack of water use data. Keep up the great work, folks! It makes me proud to be an Aggie!